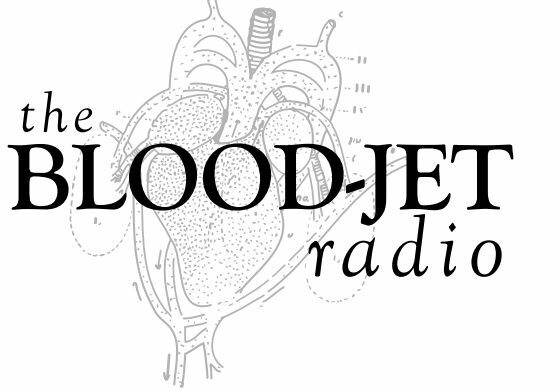 The Blood-Jet Writing Hour is a writing podcast hosted by poets Rachelle Cruz, Muriel Leung and MT Vallarta. On the show, poets and writers share their work and discuss their craft, process, and the pulse that keeps them writing. Founded in 2009 and featured on The Poetry Foundation website, The Blood-Jet Writing Hour strives to spotlight vibrant and (aesthetically, culturally and linguistically) diverse voices from the literary world. Poets and writers such as, Jayne Cortez, Jessica Hagedorn, Karen Tei Yamashita, Barbara Jane Reyes, Craig Santos Perez, Tamiko Beyer, Duriel Harris, Angela Garbes, John Jennings, John Murillo, Ray Gonzalez, Lee Herrick, and many more have been featured on the show. You can also follow The Blood-Jet on Twitter and like it on Facebook. Publishers, Lit Mag Editors and Writers of Poetry, are you interested in spreading the word about a new or forthcoming book/magazine? Please email Rachelle at rachelle.a.cruz [at] gmail [dot] com for further information. Logo design by Melissa Sipin.